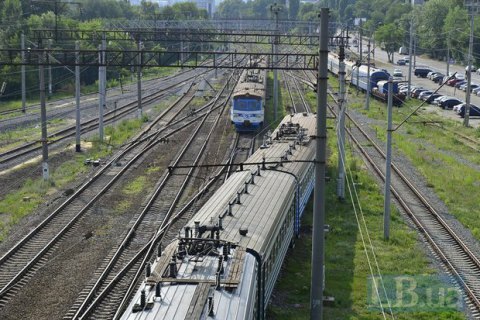 The Ukrainian Infrastructure Ministry did not propose that the government restrict the boarding of transit trains travelling from Moldova to Russia via Ukraine, Infrastructure Minister Volodymyr Omelyan said at a press briefing in Kyiv on Friday. "For now I can say that there are no plans to adjust routes of transit trains traveling from Moldova to Russia via the Ukrainian territory," Omelyan said. There are no restrictions on boarding these trains in Ukraine, either, he said. "However, we will be ready to impose restrictions if the situation requires so, and transit trains will be crossing Ukraine non-stop," Omelyan said. The Infrastructure Ministry has developed a package of countermeasures, including restrictions on passenger traffic to and from Russia, because of Russia's impediments to navigation in the Sea of Azov and the Black Sea. It hopes for their soonest approval by the Ukrainian government, Omelyan said earlier.